So I wasn't really sure how to go about reviewing a children's book. I don't actually have kids, but I wanted to read this book to see how the author dealt with the issue of homelessness. 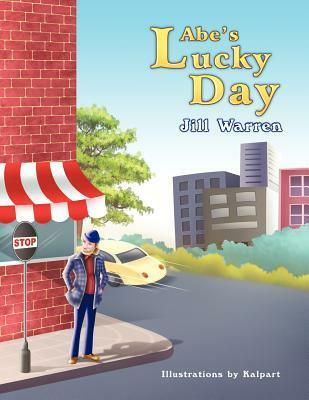 Abe's Lucky Day is about caring for others even if you don't have a lot yourself. My nephew grasped the message because when his sister asked him what it was about he answered, "caring for others." The book is probably on a kindergarten or first-grade level. It was a simple story to follow and the pictures are well done. My only complaint is when we change point of view from Abe to the businessman at the coffee shop. The author uses the pronoun "he" and it took me a minute it realize the he wasn't Abe, but the businessman. That might be confusing to small children. I think the book would give parents and children a wonderful opportunity to talk about how we should be kind one to another and give a helping hand even if we don't have a lot to offer. How fun. I love that you used a quote. I'm going to have to try that with my kiddos reviews. Great Job to both Donna and Austin. Short, entertaining, great for common reading with your kid/little relative.